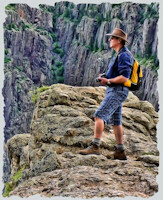 This blog is mostly devoted to photography. I'm still learning, and each photograph I take teaches me more about how to do it better the next time. 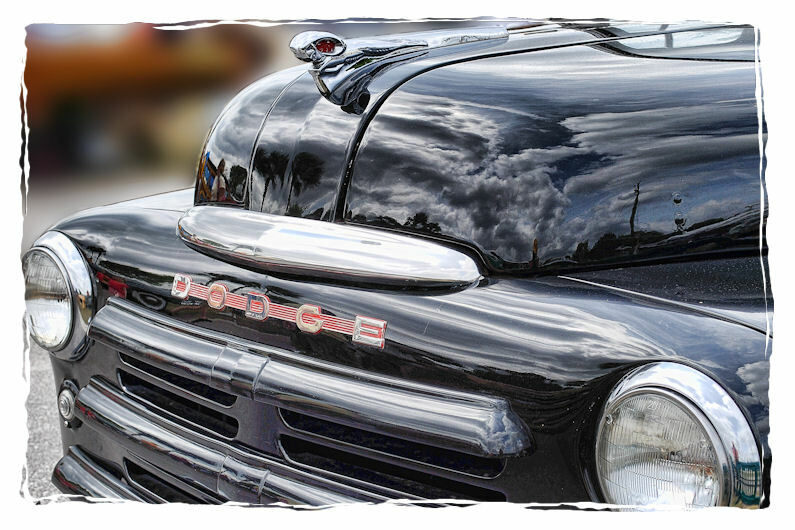 The Ford Popular is best known as a car from Ford built in England between 1953 and 1962. When launched, it was Britain’s lowest priced car. I saw this automobile recently in a parking lot. I don’t remember seeing one before. It’s a cool looking car. No, this isn’t the REAL Mel’s Drive-in in Hollywood. But it’s a pretty cool replica at Universal Studios Florida. I spent a day there over the holidays and enjoyed the nostalgia of this setting. Tavares is the County Seat of Lake County, Florida. It’s a combination of the old and new, and it’s where the court house, jail, and most government agencies are located. 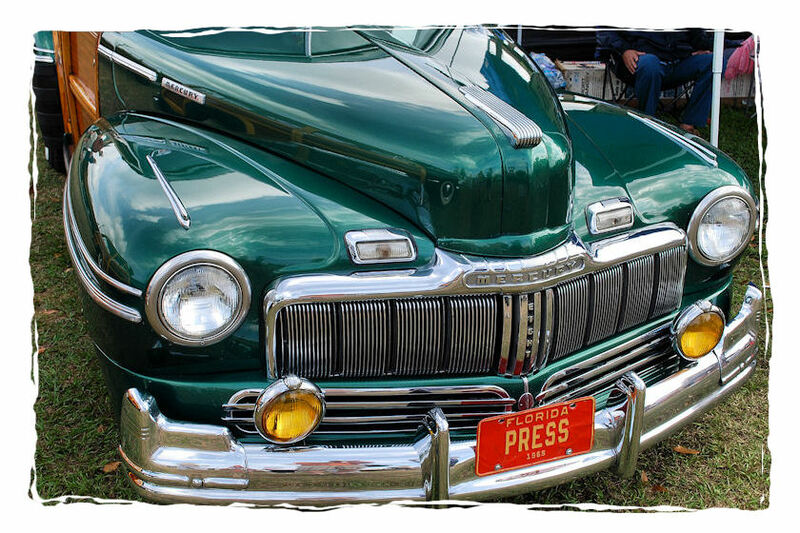 It’s also one of the many places in Central Florida where antique car enthusiasts love to gather. These photos were all taken recently at a festival in the city, and they show some of the people and things that I observed. I adjusted all of the photos with my normal sharpening, levels, etc. routine, and then I used Topaz Adjust to tone map them. A border was then added. Many people comment that my photos look almost like comics, but I like this look right now. It’s probably a phase I’m going through. 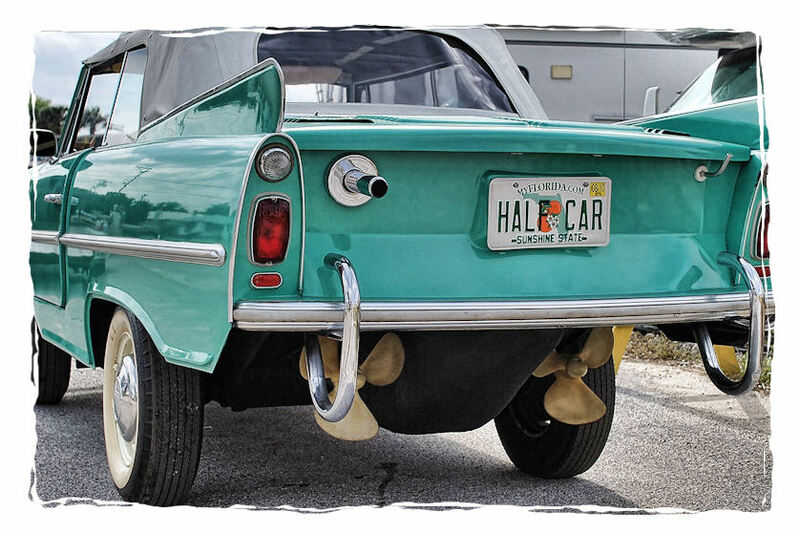 The annual antique boat festival was held this past weekend in Tavares, Florida. 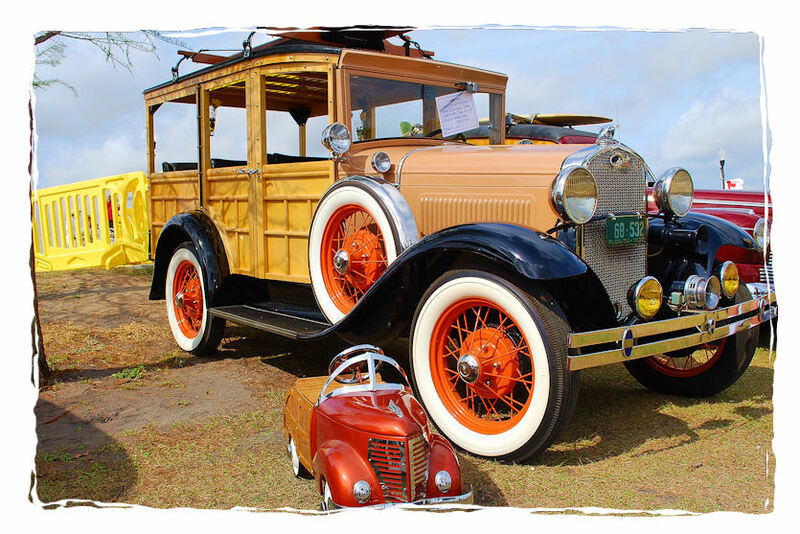 It was very interesting, but once again I found myself more intrigued with the antique automobiles than with the antique boats. 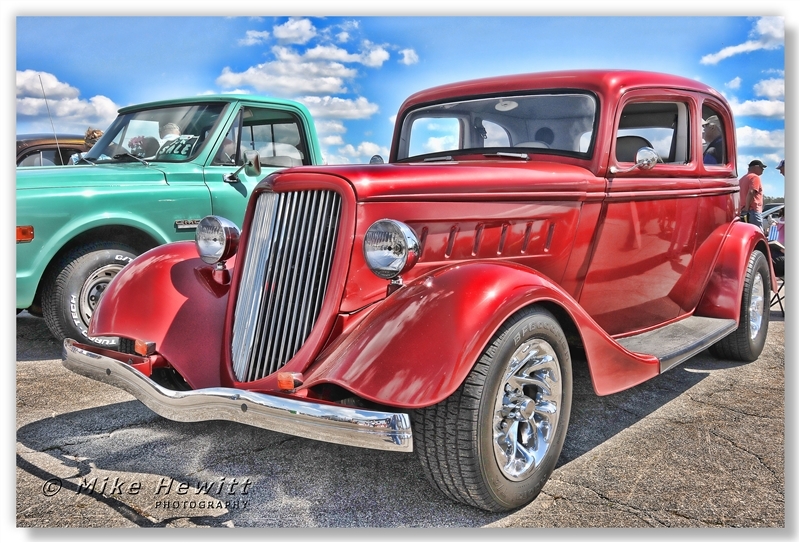 With all the modern cars available these days it seems that I never get tired of looking at these antique beauties. 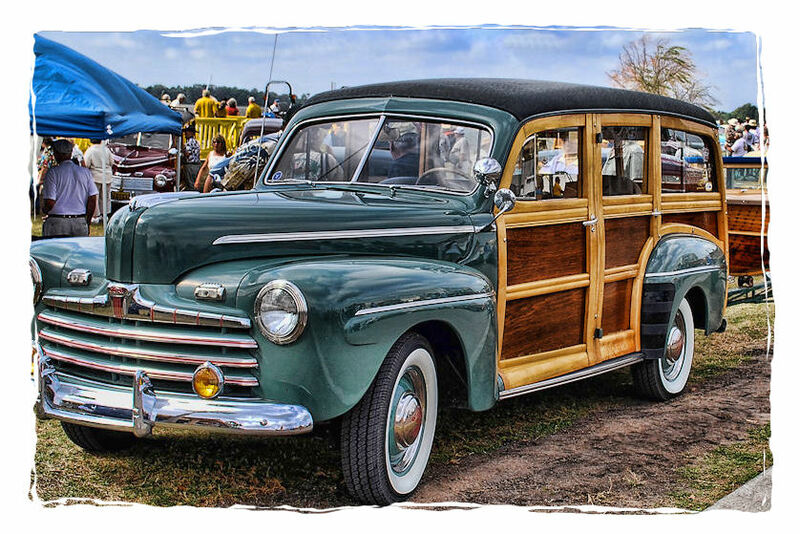 True wooden doors, beautiful paint jobs, smooth curves, what more could you ask for….except maybe air conditioning here in Florida. I saw the gentleman, in the photo below, looking at the inside of the car. 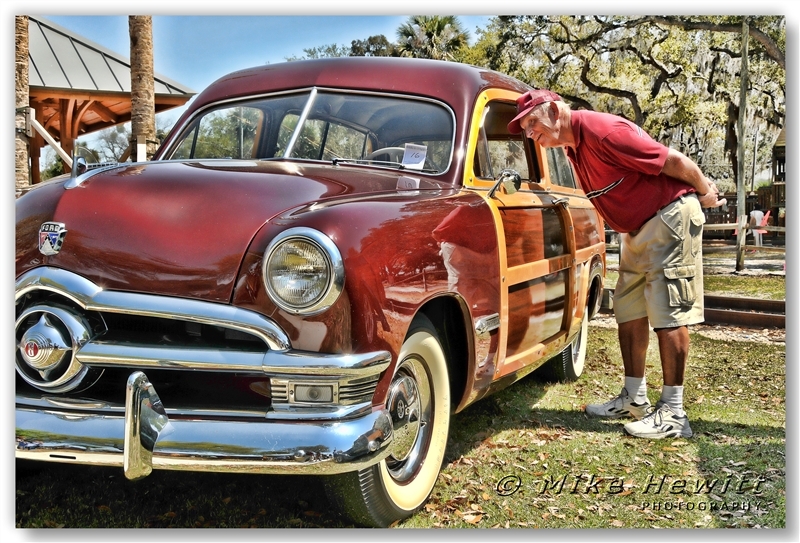 I liked the blend of his shirt and shorts with the color of the car and the surrounding landscape. He started to walk away and I asked if he would come back and let me photograph him. He obliged, and I think the photo turned out nice. 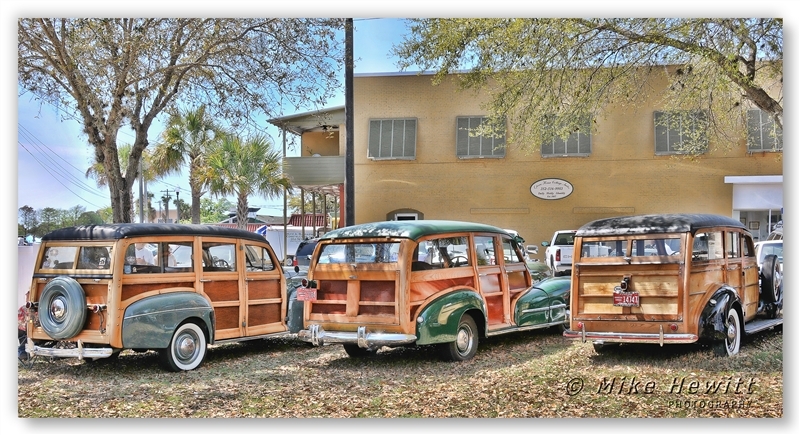 An antique boat festival is held each year in Tavares, Florida, but I usually find the antique cars there to be more fascinating. These are some of my favorite shots from the last show.